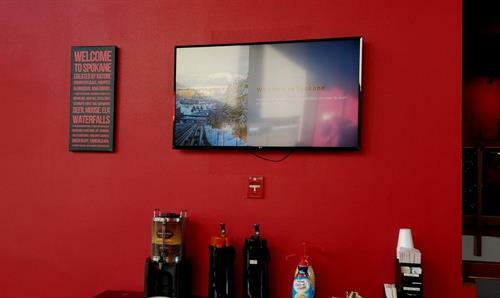 Just steps from Spokane International Airport, we are the only full service hotel at Spokane Airport and provide easy access to Interstate 90 and US Highway 2. Our 100% non-smoking, pet-friendly hotel is short distance from Fairchild Air Force Base, downtown Spokane, Eastern Washington University. We offer complimentary parking during your stay, extended parking with special room package, free airport shuttle and complimentary wi-fi. 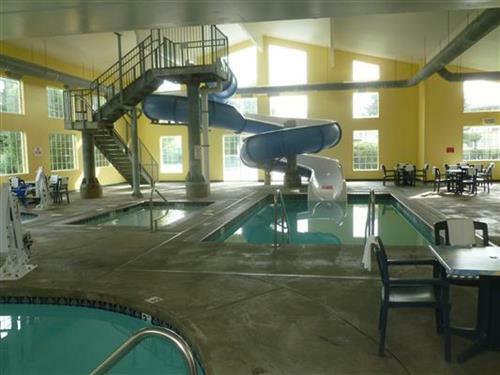 Unwind in our hot tub, enjoy our indoor pool and seasonal outdoor pool or have fun on our waterslide. (Ask our friendly staff about our special waterslide hours from October through May.) 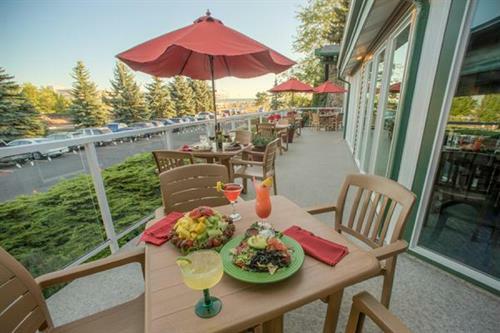 Handicapped accessible rooms, hot tub and pool suites as well as family suites are available. Children under 17 stay free with adults. 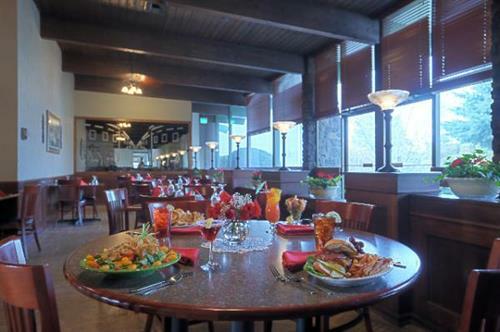 Three in house restaurants including Remington'a Dining Room, Cafe and Exhibition Grille as well as our lounge. Complimentary hot breakfast buffet for all guests, we welcome others to join us for breakfast as well for a nominal charge. 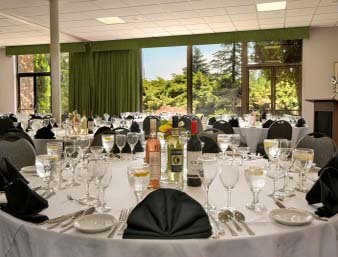 In need of meeting space, conference space, reception space or a special party venue, just call our friendly catering staff to assist you with everything from a meeting for 2 to a wedding reception for 150. Less than 100 feet from Spokane Aiport. Take Exit 270 B coming East on I-90.